More technique practice with fan art! 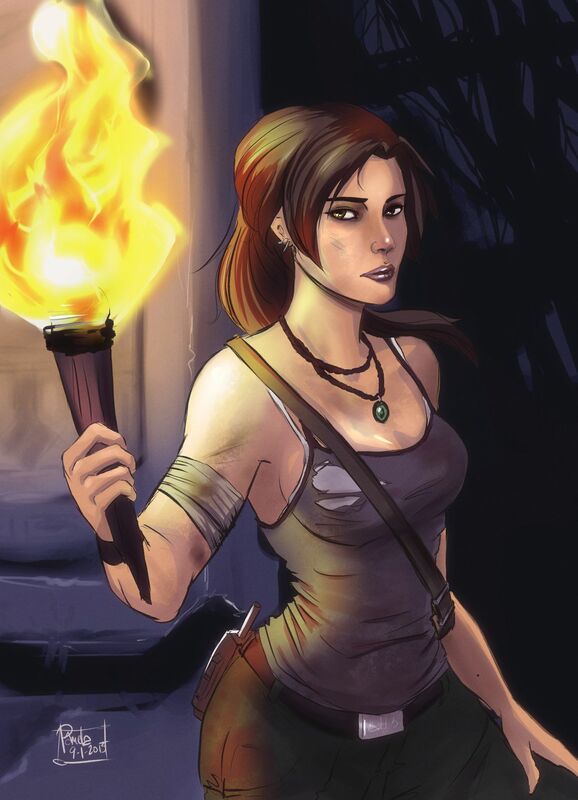 I’ve always liked the concept of Lara Croft, but couldn’t really take the early designs all that seriously. I liked the latest Tomb Raider game, and I’m looking forward to seeing the next one, Rise of the Tomb Raider (though I’m not getting a next gen console anytime soon). I wanted to practice comic book style art, starting from detailed sketch to linework to flat colouring. The drawing took approximately 5 hours in total. I made a little instagram slideshow video of my process.